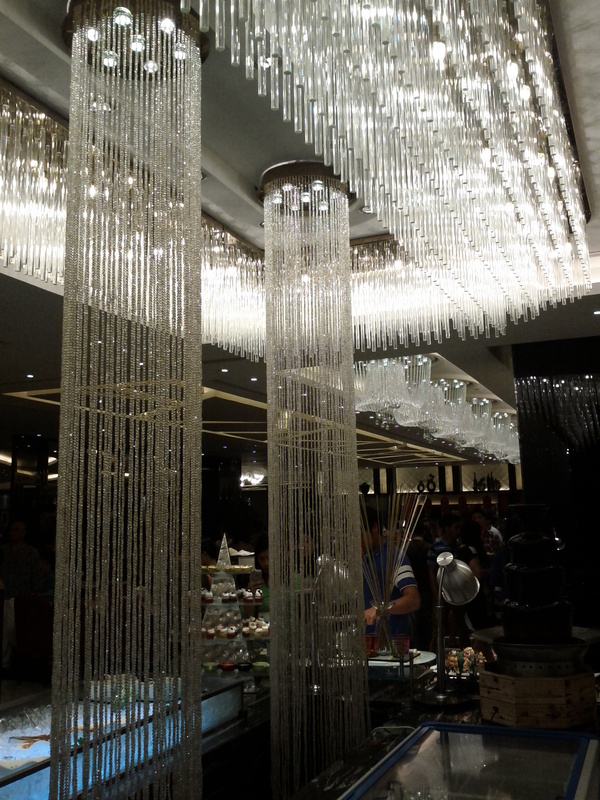 On a whim my wife and I visited the newly opened Buffet 101 at the New Glorietta, we were enticed by the promise of an elegant and upscale buffet that they were able to deliver in their Mall of Asia branch. Their tagline of serving the same level of gastronomic experience as in upscale hotels is up for my judgment. Upon entry, we immediately felt the grandness of the place and the vastness of the floor area they were offering. In terms of the space, they seem to be of the same size with the MoA flagship branch, vast areas for dining and separate rooms for groups who wish to dine separately. 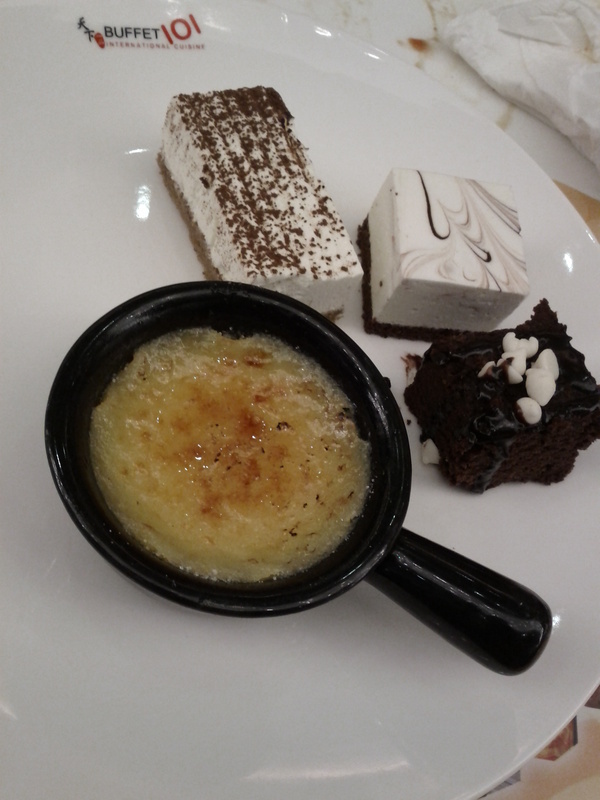 As for the food, let’s just say things were up for my own personal tasting before I pass judgment. The salmon sashimi was just thawing, it was obvious that they came out of the freezer and I do not like the taste and texture of almost frozen fish as sashimi. 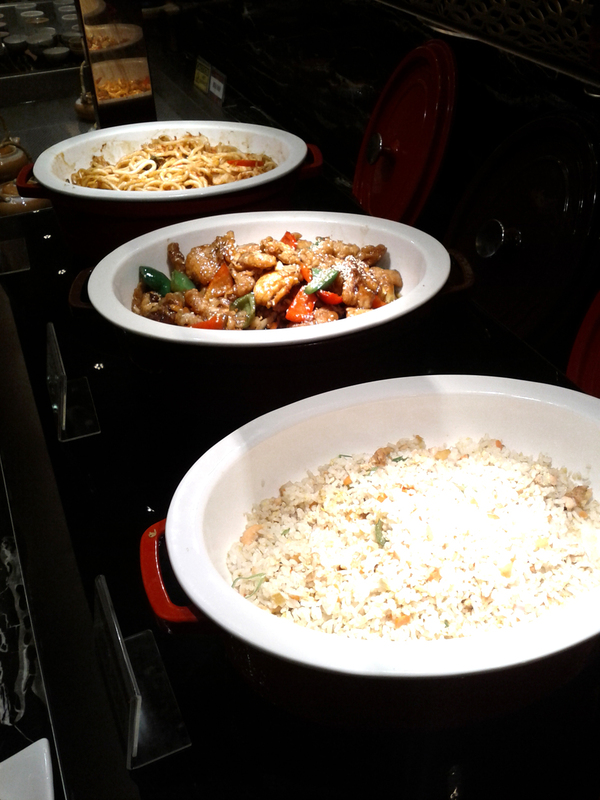 I understand that there were an influx of people who wanted to get one of the bestsellers in every buffet but they should have prepared beforehand. 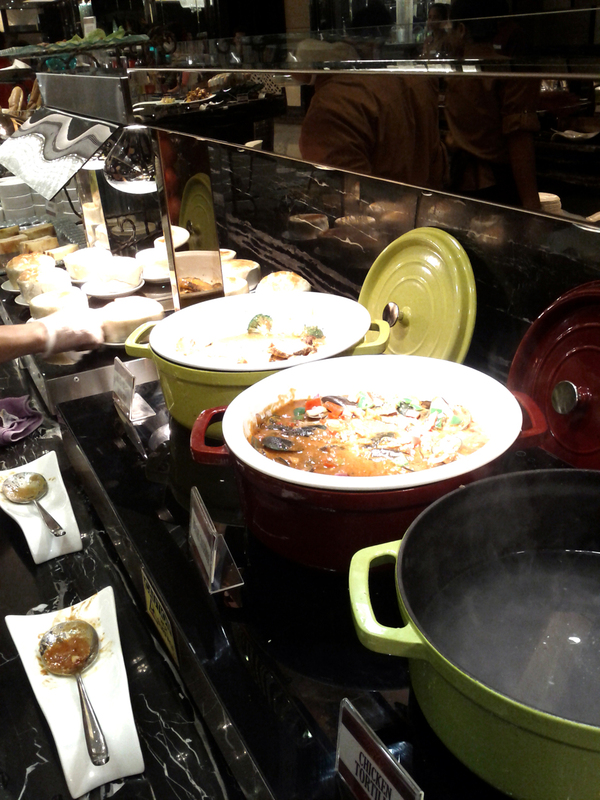 There was no uni, it is a hallmark of an upscale buffet, the availability of such an exotic item was expected because there was a premium. 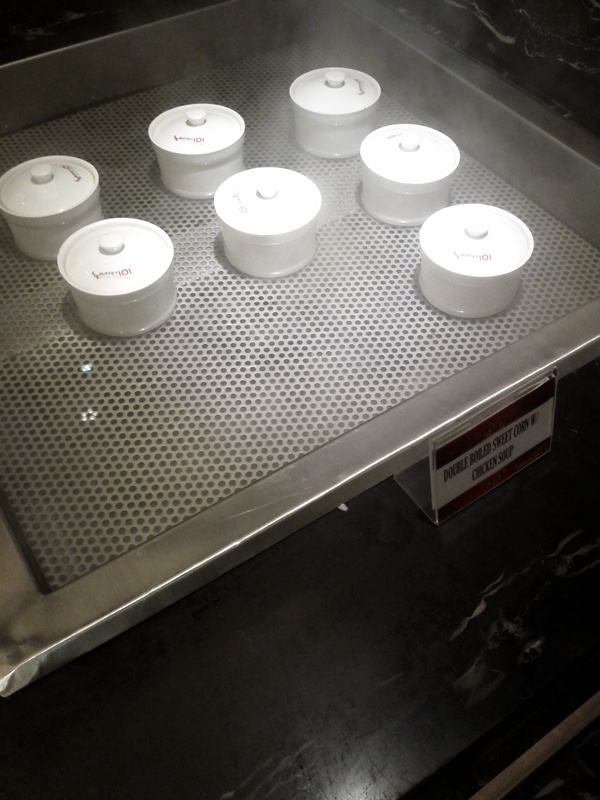 The cost of Buffet 101 at the new space is even more expensive than the premium label of Yakimix at BGC, Yaikimix Prime and yet there was none. 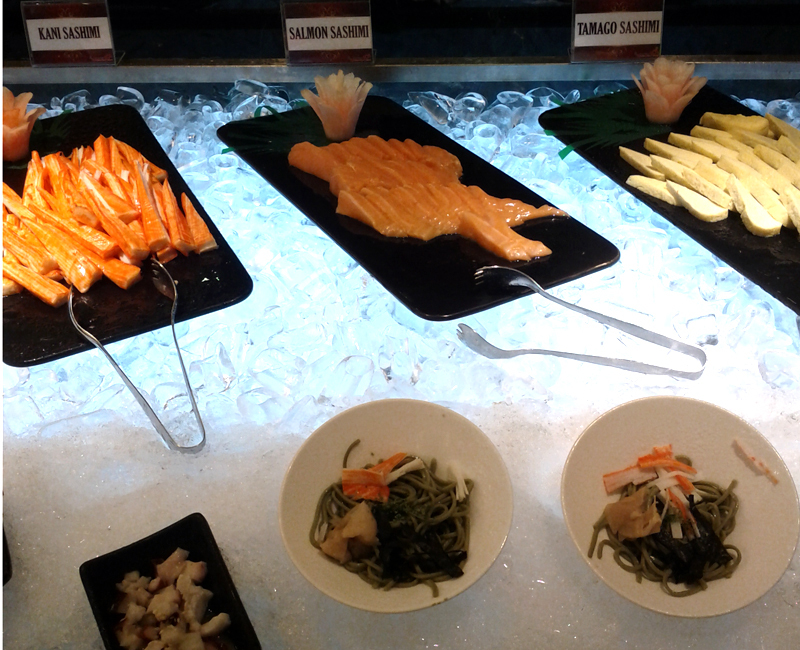 Some of the items available were run of the mill, the egg sushi, the kani crab sticks sushi and there was also a cold noodle offering, none of which engaged me enough to rave about the Japanese station. I tried the tempura, and it was OK. 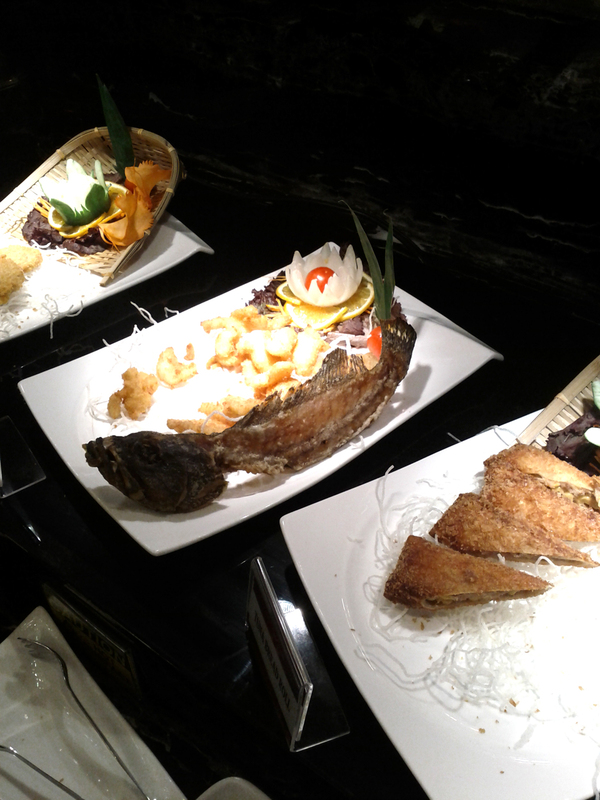 There was a fresh catch section for grilling, I tried the salmon head, it was good and tasted sweet, a sign of its freshness. 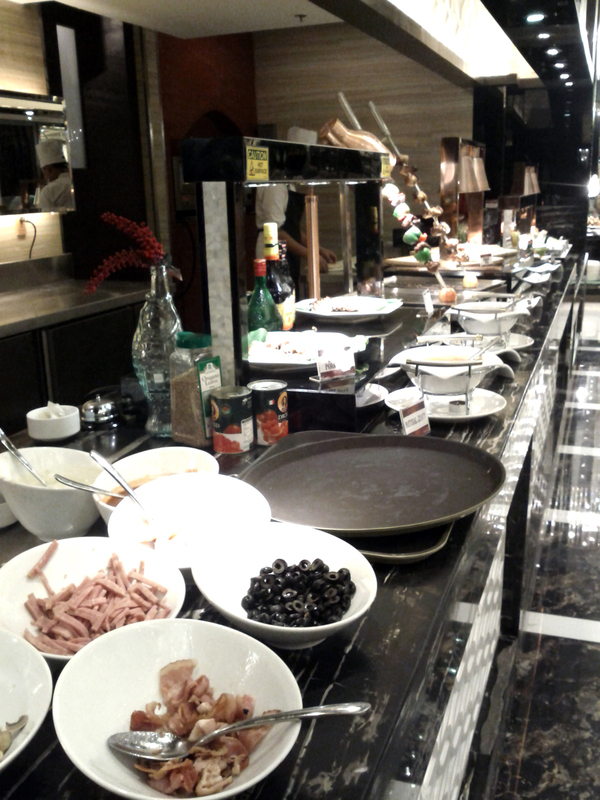 The pasta bar, and the chimichurri, as well as the steak station. 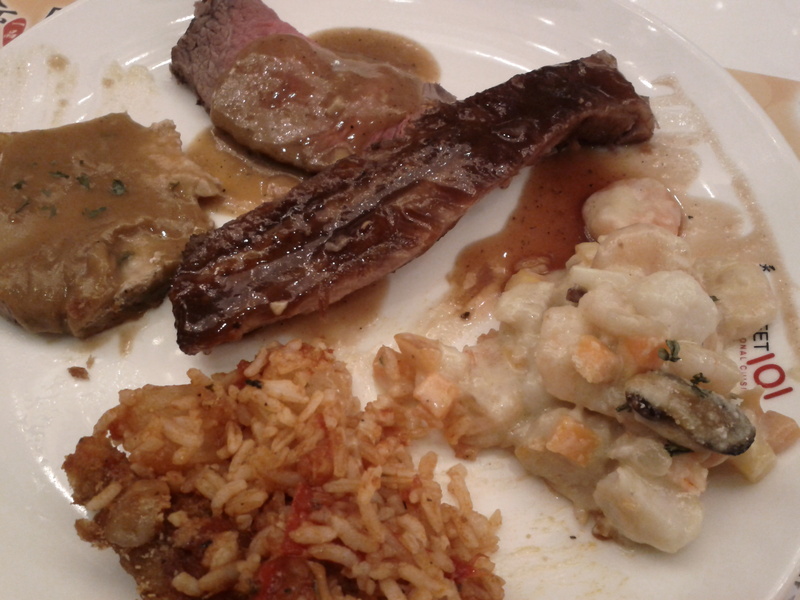 Stations of the main courses, nothing really popped out for me. There was variety but I question the quality. 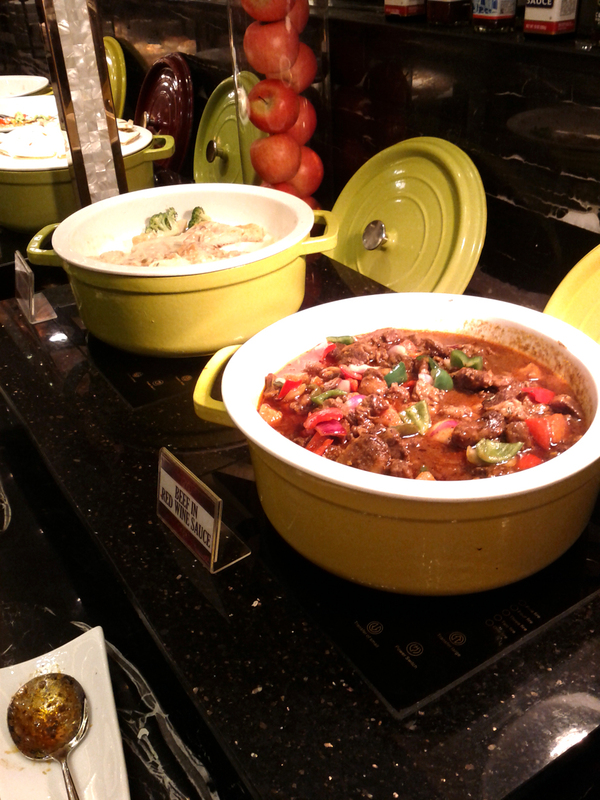 I was enticed to taste the beef caldereta aka beef in red wine sauce, I was sorely disappointed… the meat was tough and the sauce was just ordinary. I was expecting more. 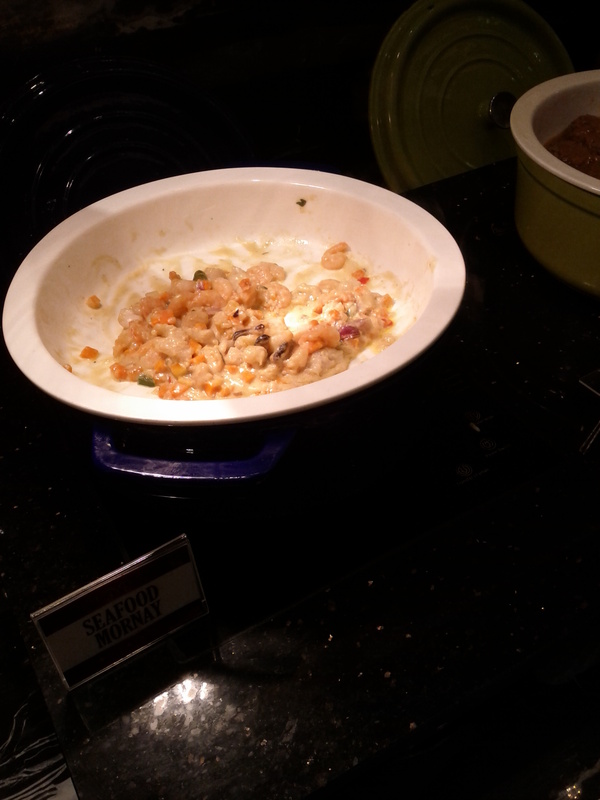 This was one of the saving graces of the main courses, it was a mixed seafood concoction with cream sauce. 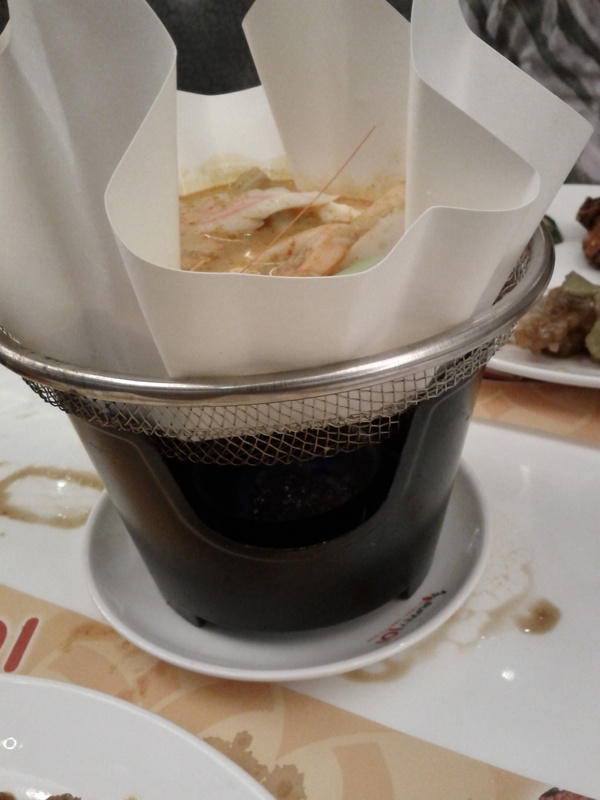 The sauce was immaculate and the seafood was cooked perfectly. 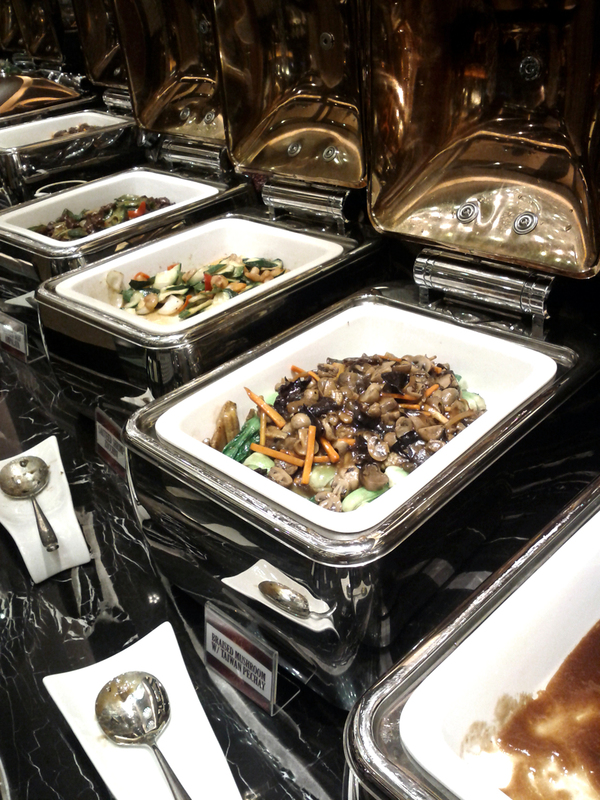 The braised mushroom was good; the other vegetable dishes were “no comment” items. I was hoping they would serve top notch cheeses but I was again let down… I don’t know what happened with 101 but they seem to have lost the quality I was expecting from them. The cheese was frozen and was defrosting right on the display, the meat was really old and not in a good preserved way but in a “it’s lying around somewhere for days, kind of thing” this was not the Buffet 101 quality that I wanted and paid for. You see, with certain things you expect a level of better quality if not the best, but this was a pure letdown. 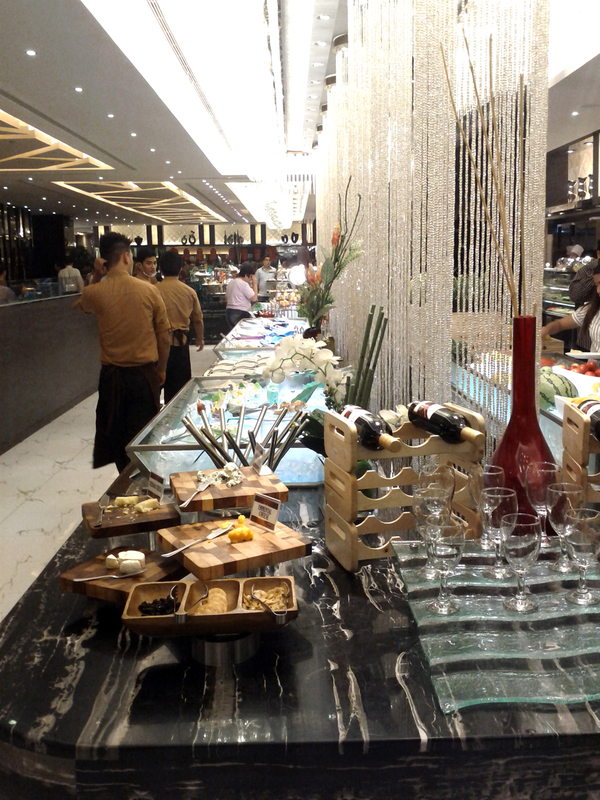 Remember the buffet price was almost a thousand pesos for an establishment inside a mall, the price was so close to high end hotel chains that offer proven taste quality and well thought out goodness and yet was miles away. WHAT I HAD ON MY PLATE? This was good, I liked how good the dishes were cooked, especially the octopus since they were cooked well really tender and made just right. Nice way to warm an empty stomach. 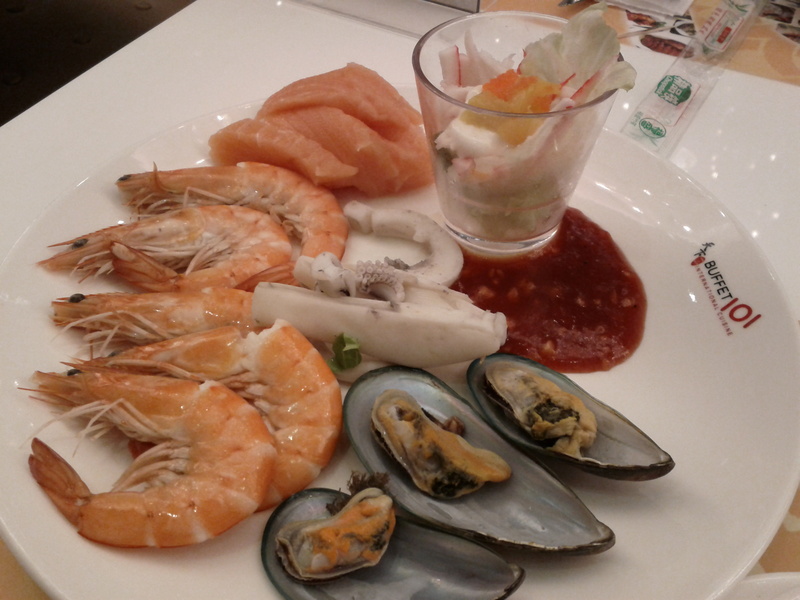 The kimchi was good, on the top most is the beef in red wine sauce (not good), the seafood mornay (great! 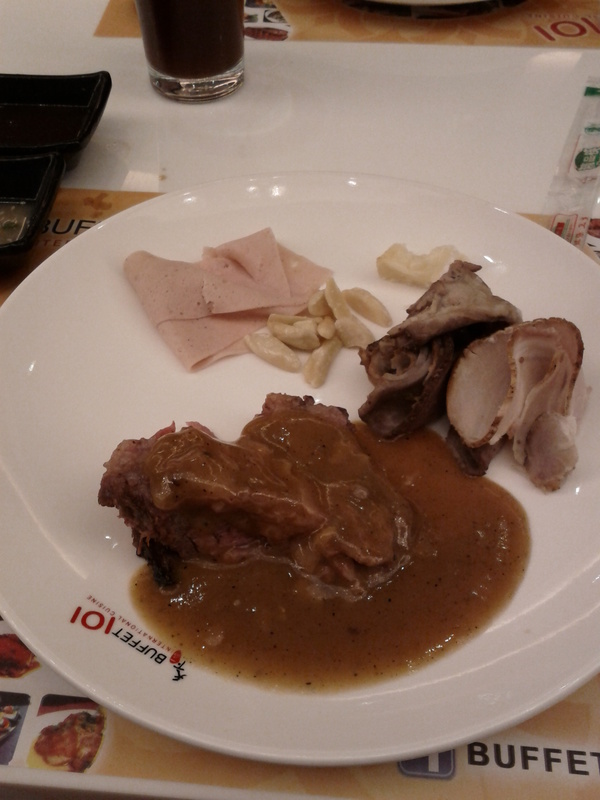 ), and assorted mushrooms. 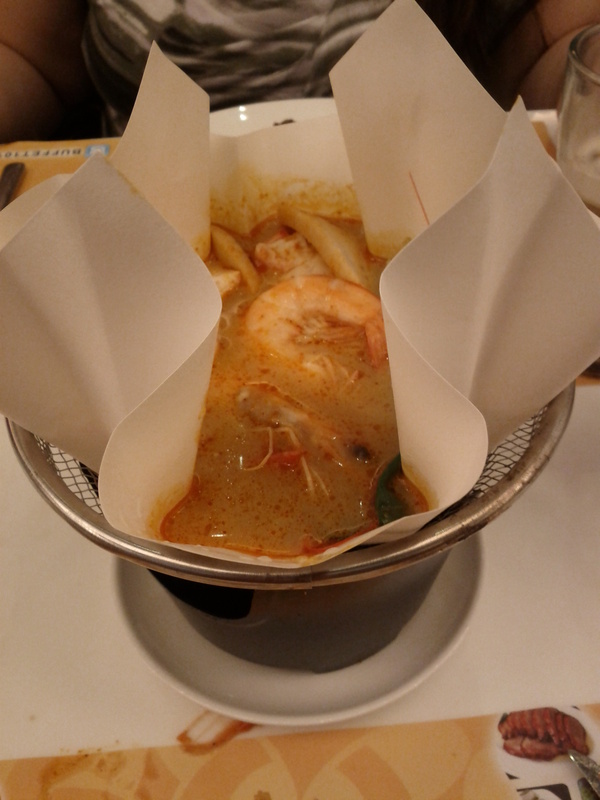 There is a station where you can try out several soup base with an assortment of noodles and other inclusions, we requested the Tom Yum soup and it was IMMACULATE. 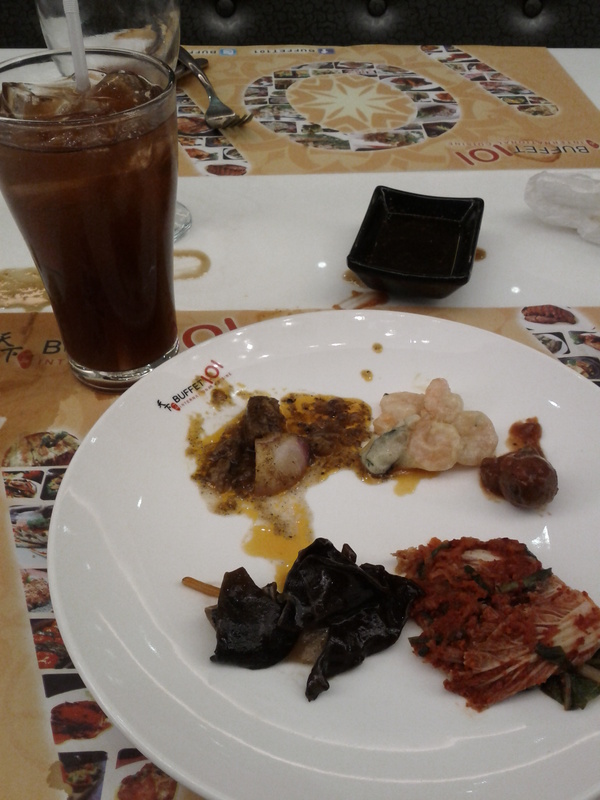 Of all the disappointments I experienced at Buffet 101, this was one of their saving graces. 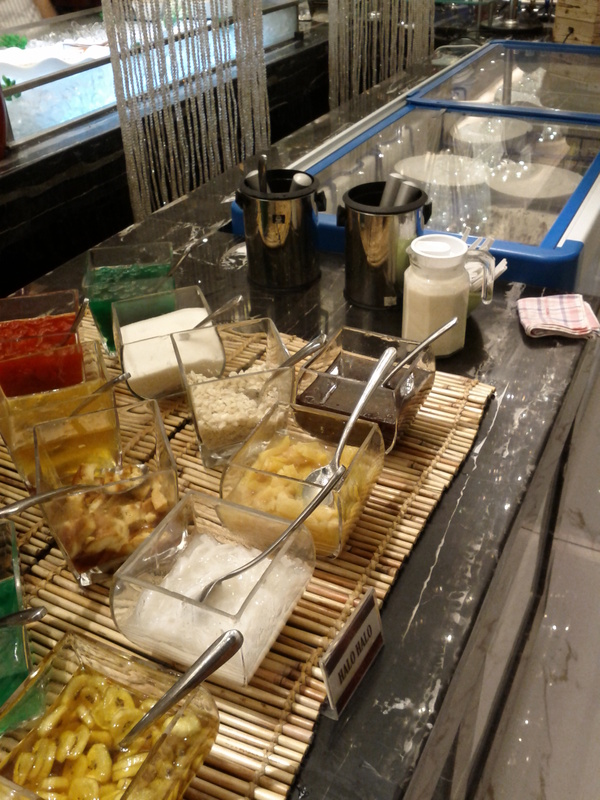 It tasted similar to what we had in Thailad at Jatujak Market, really authentic flavors. It was presented in this quirky, alcohol gel mini stove. A super best seller, it was gone even before they replenished. 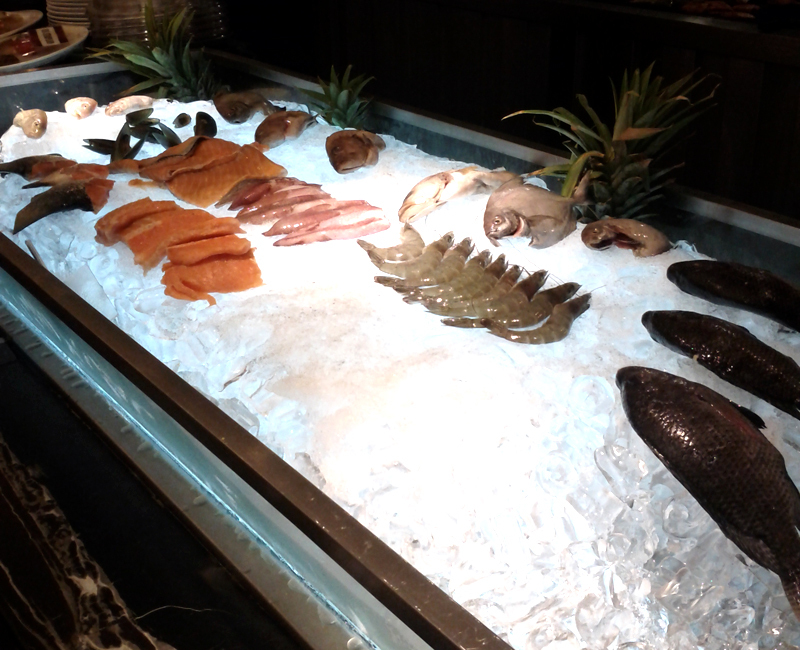 Great taste, tender and exquisitely palatable. Ice cream and cakes, they were OK. 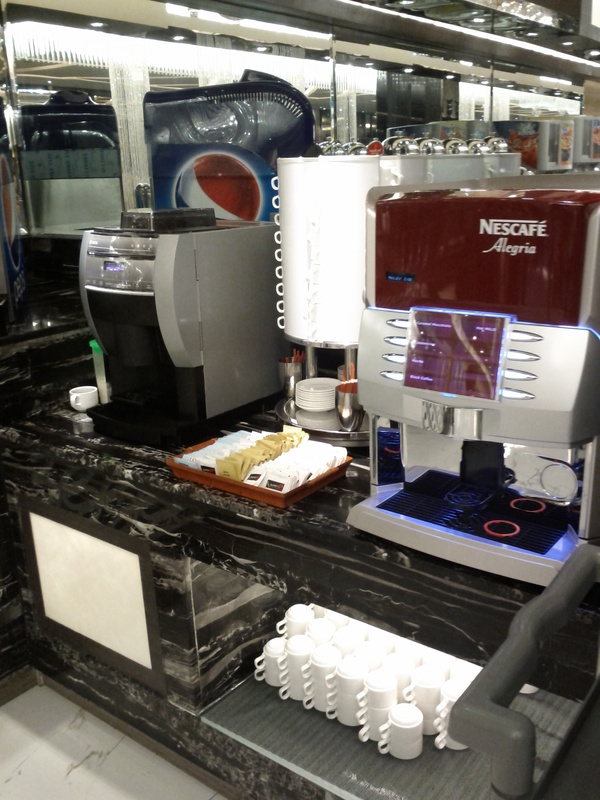 There is also a coffee maker for people who love their caffeine shots, wide selection from that station. 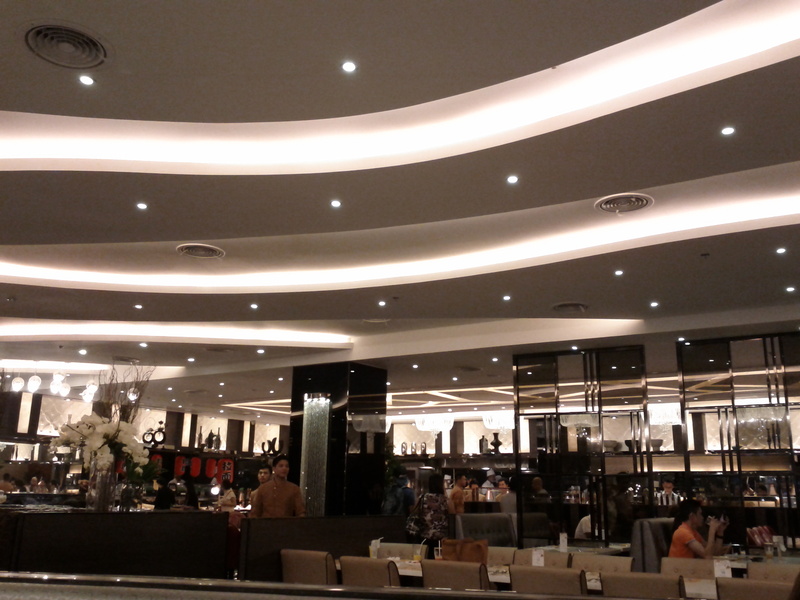 The place was great; you can enjoy the high-end ambience as they promise. 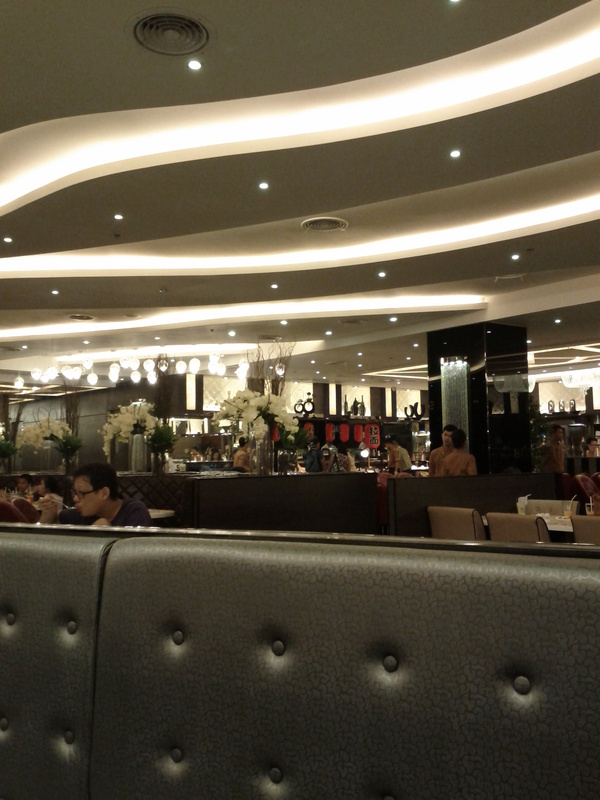 The dining experience is fully realized if we solely base it on how the place looks. 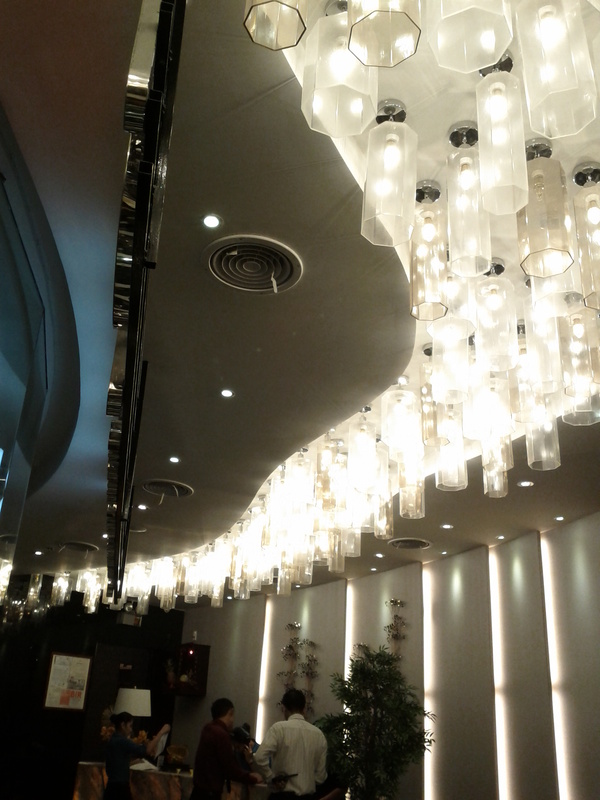 The light fixtures were perfect; they looked really expensive and complemented the vibe that the restaurant wished to achieve. I have nothing to say but good things for the service, they were receptive and prompt. 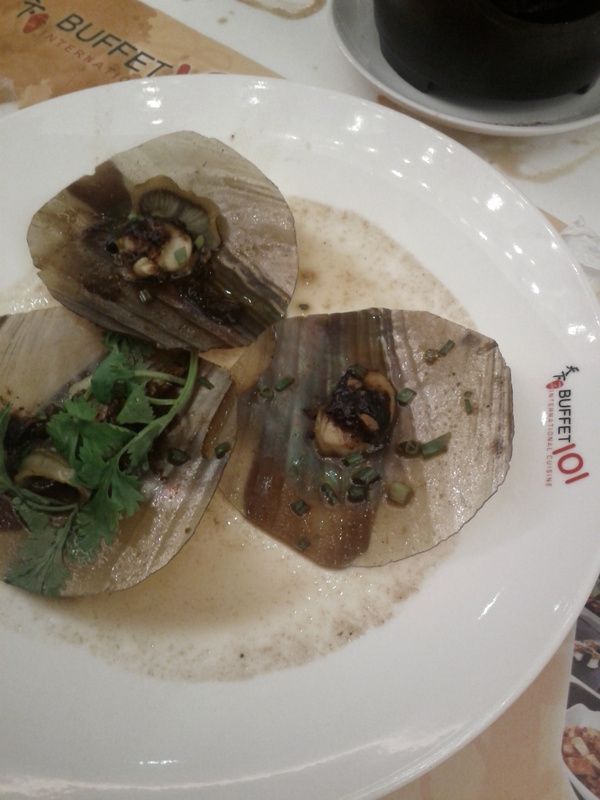 Sad to say, after reviewing several buffet places in the metropolis and elsewhere, Buffet 101 at the New Glorietta was a let down. I am for quality above all else, it was such a disappointing experience, I am not sure whether it was because they were just starting out (we came in a week after they opened) or they were just having challenges due to the number of people that were dining, but that is not an excuse for the lackluster food quality especially when you are paying almost PhP1000 per person. 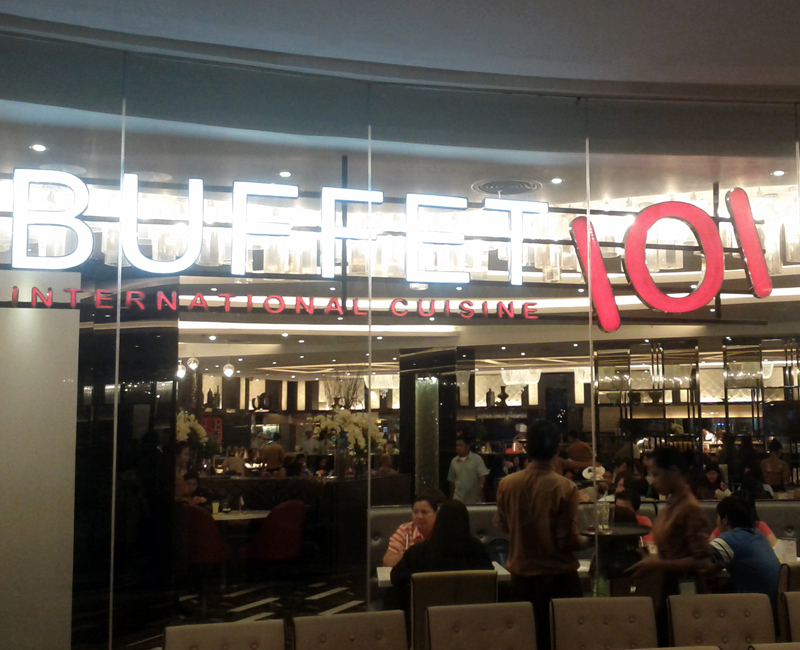 Overall, inspite of the wide variety of dishes and the exquisitely appointed interiors, the food should have spoken for the buffet, and in that sphere I believe Buffet 101 failed miserably. Perhaps, it was just that night but again every night should be special, my wife and I were not impressed and hope that things get better sooner rather than later. 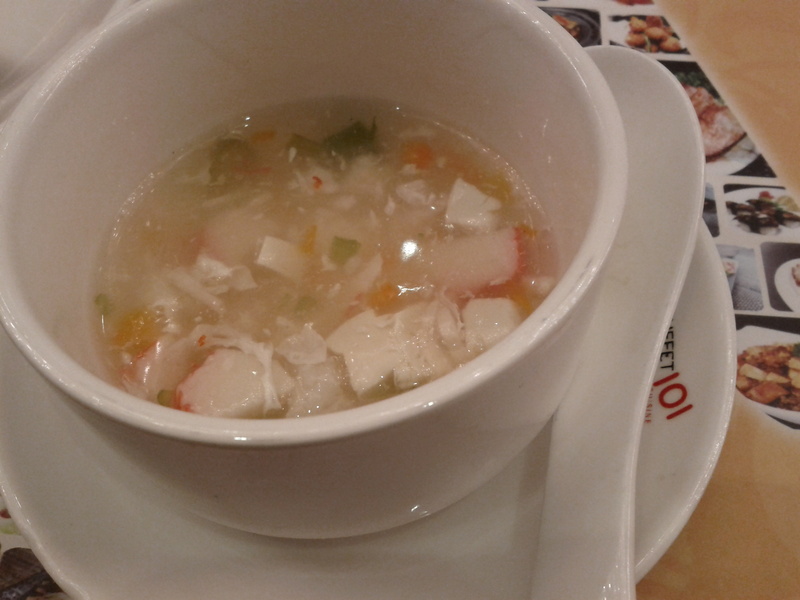 This entry was posted in American, Asian Dishes, Desserts, Filipino, Japanese, Makati, Pizza / Pasta and tagged ayala center, buffet, Makati, newest buffet, Pizza, sashimi by manilafoodblog. Bookmark the permalink.